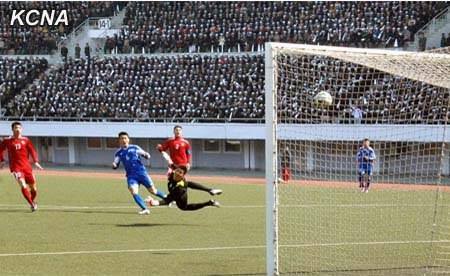 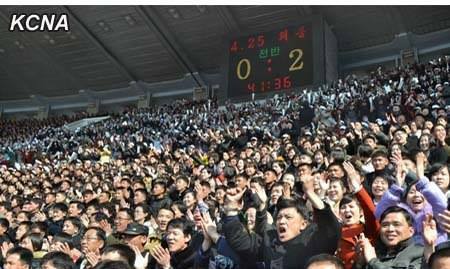 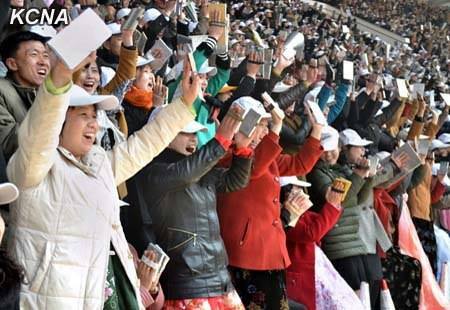 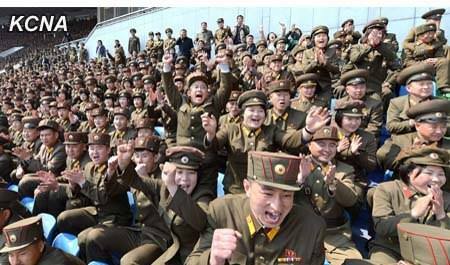 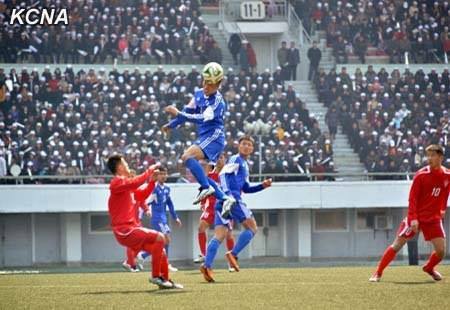 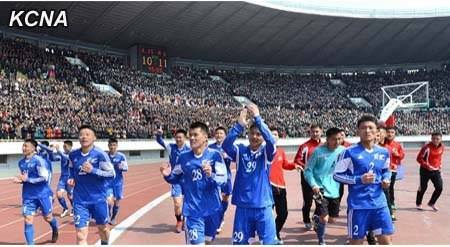 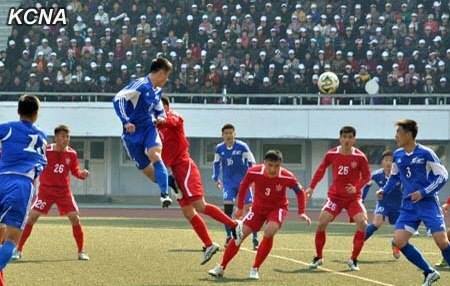 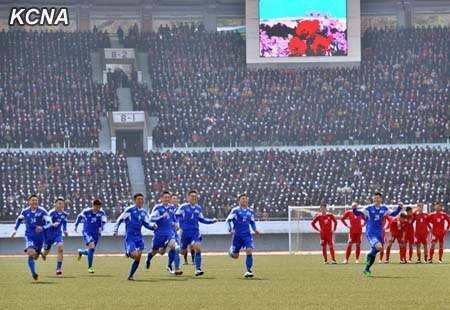 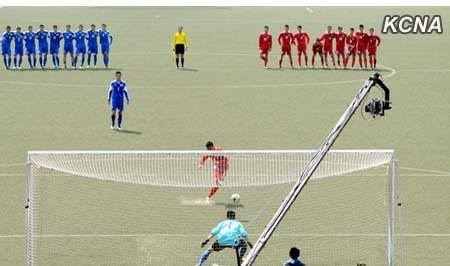 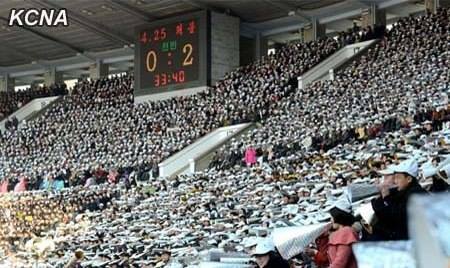 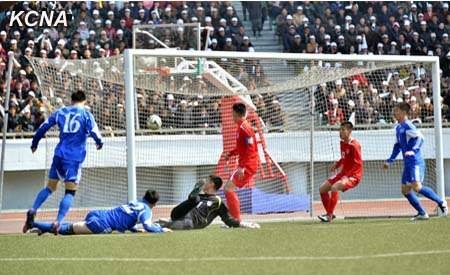 Pyongyang, March 27 (KCNA) — Famous men’s football teams showed a demonstration game at Kim Il Sung Stadium Thursday as a commemoration of the 7th National Conference of Sportspeople. 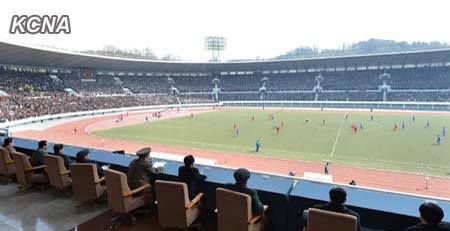 Watching it were members of the State Physical Culture and Sports Guidance Commission, participants in the conference, officials in the field of sports and sportspersons, officers and men of the Korean People’s Army and the Korean People’s Internal Security Forces, youth and students and other people in Pyongyang. 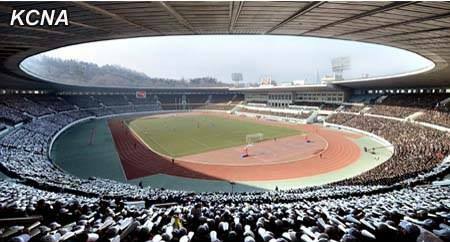 The game took place between the April 25 Team the Hwaebul Team. 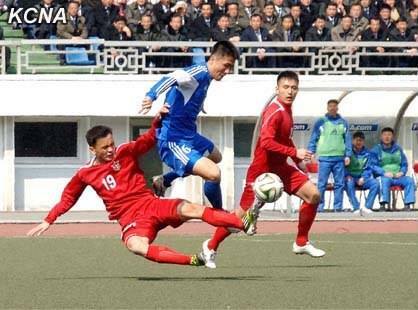 The two teams traded attacks and counterattacks in the game that drew 5:5. 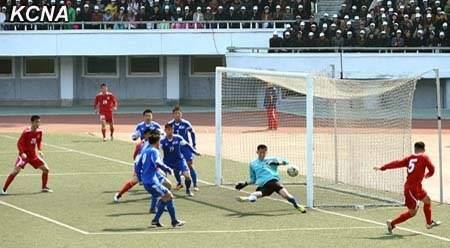 In the 11-meter kicks that followed the Hoebul team won 11:10 whose victory was mainly attributable to its goalkeeper who kicked back balls with correct judgment and agile movement.